It was in a unique location, easy to get to from the city center. It was nice to be in a building on our own and we felt comfortable. There was free wifi and a tv which was nice to have as well as a working kitchen. We also had good communication with the host. Great location, very comfortable beds, good communication with hosts and speedy return of deposit. Lock in a great price for The Hacienda Slp 16 (49) - rated 8.8 by recent guests. 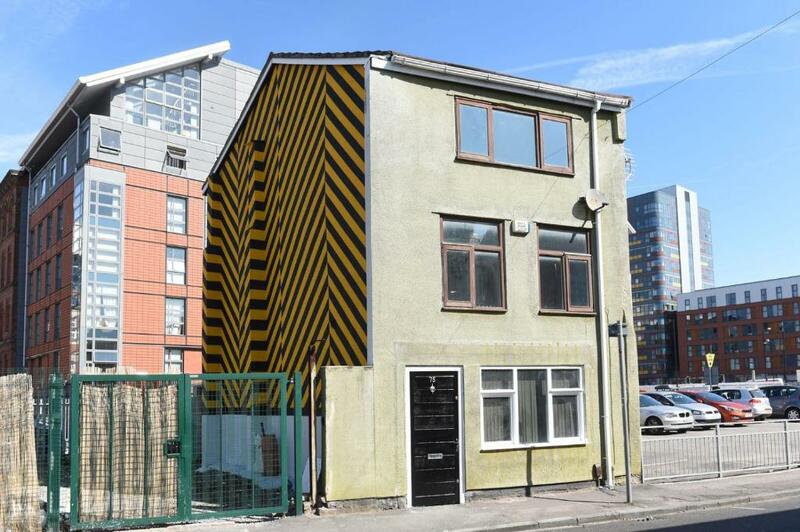 The Hacienda Slp 16 (49) offers accommodation in Manchester, 200 yards from Greater Manchester Police Museum and 0.9 miles from Manchester Arena. 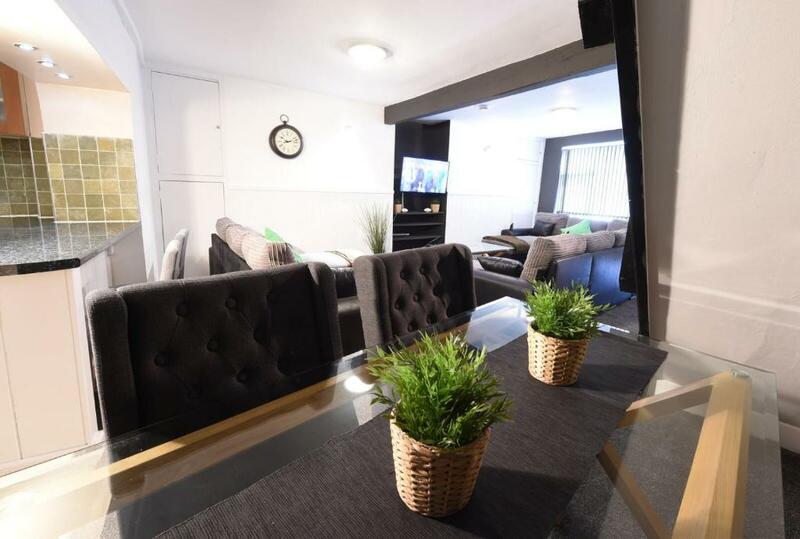 Guests staying at this holiday home have access to free WiFi and a fully equipped kitchen. The holiday home is fitted with a cable flat-screen TV, 2 bedrooms and a living room. The property also has 1 bathroom with a hair dryer. Popular points of interest near the holiday home include Chetam's Library, Canal Street and The Palace Theatre. The nearest airport is Manchester Airport, 9.9 miles from The Hacienda Slp 16 (49). The Hacienda Slp 16 (49) has been welcoming Booking.com guests since 7 Dec 2017. When would you like to stay at The Hacienda Slp 16 (49)? This holiday home has a toaster, kitchen and patio. The Northern Quarter is the city's hub for music, arts, culture, independent shopping, restaurants and nightlife. 10 minutes walk from the Arndale shopping complex and 12 minutes walk to Manchester Arena. Please follow our Opulence Luxury Living Instagram and Facebook page for inspiration on what to do on your stay, and see what other familiar faces got up to while staying with us. House rules The Hacienda Slp 16 (49) takes special requests - add in the next step! A damage deposit of GBP350 is required 7 days before arrival. This deposit is fully refundable 7 days after check-out as long as there has been no damage to the property. The property had a strange smell of cleaning products/air fresheners and was quite darkly lit, but these are easy things to get past. The shower cut out several times whilst using it upstairs. Wouldn’t recommend to families, was dirty when we walked in but rang the owner and soon got house keeping to come and clean it. No quilts for the sofa beds available, some people had to sleep without a cover. The property was very cold! Blinds are not good in the bedroom. I suggest they should change to curtains. The lower floor (where lounge and kitchen is based) smelt of damp and this was apparent upon entering the property, however this did not impact us as we did not utilise these areas with it being a one night stay. There are no windows to open on the ground floor and the door is opened onto the main street, so we understand that this area is difficult to ventilate. Everything else was perfect!